The suit might make the man, but the textile makes the suit... and pretty much anything else you're pulling out of your closet these days. Knowing the ins and outs of key fall textiles is essential to choosing the right fabrics for the right occasions. 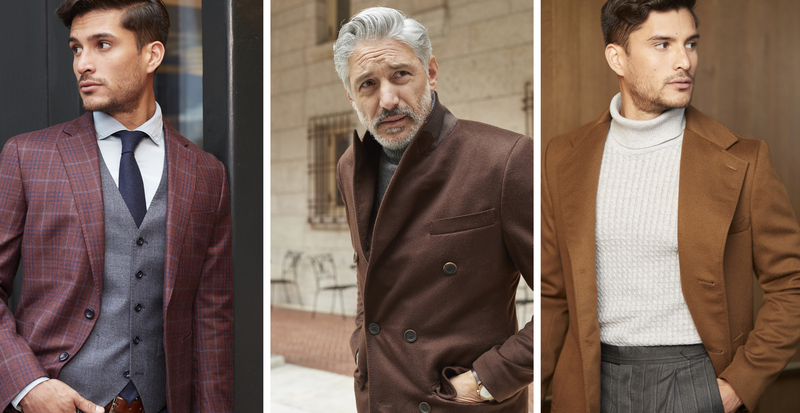 This way, you ensure your look is always cut from the right cloth—and that you know how to talk textiles when it’s time to shop. For example: Did you know plaid and flannel aren’t actually interchangeable terms? Get schooled below on all the knits, wovens, and fibers you need in your style vocabulary this season. Some like it luxe, and that's where cashmere comes in. As one of the most luxurious knit fibers in the world, it's sourced from the underbelly of goats in the Kashmirian mountainsides of Northern India. You'll pay more to wear this high-quality fiber, which boasts a fine, ultra-soft hand—but it's worth it. Cashmere is three times warmer than sheep wool and lasts year after year. 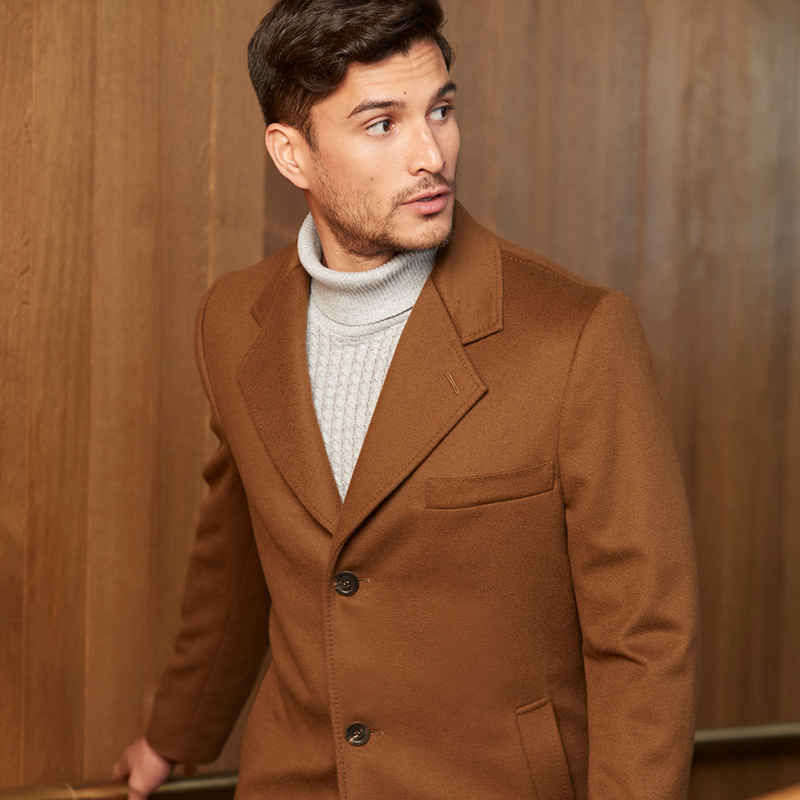 This heavy-weight wool twill is a popular cold-weather material that you'll find in suiting and coats. 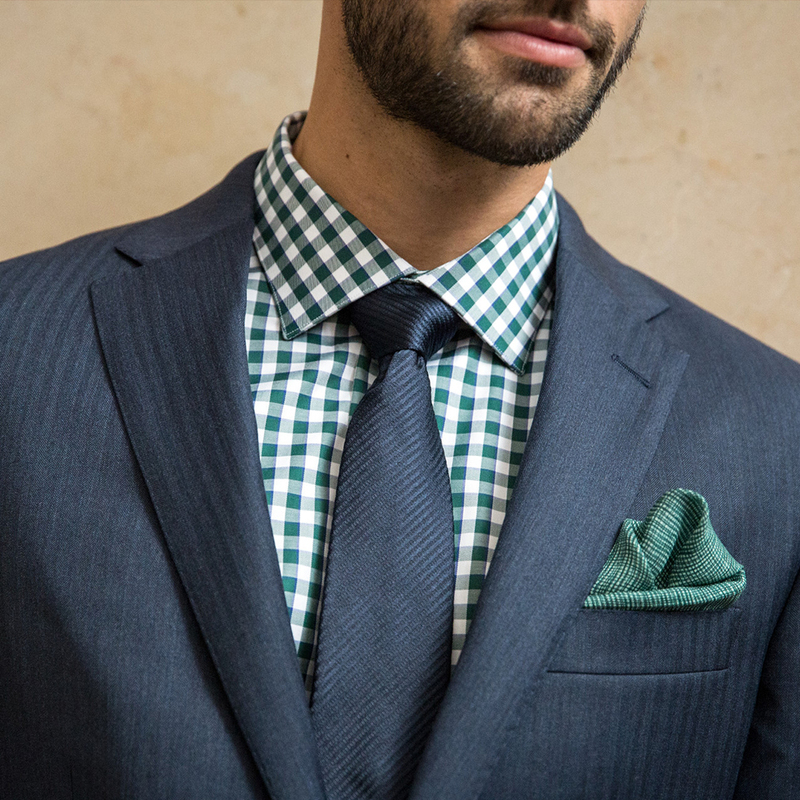 It's considered an essential menswear fabric due to its versatility and longevity. The unique pattern, as you may have guessed, is named after the appearance of a herring fish skeleton. This must-have textile can be traced back to Egypt, where it was first exported to Europe. Fall's ultimate textile might be flannel—and it's not the same as plaid. Plaid is technically a print, while flannel is a warm, thick material that consists of loosely spun yarn that creates a twill or plain weave. A brushed finish gives the fabric its signature softness. Of course, plaids are a popular print to find on flannel fabrics, and some of the button-downs you'll be sporting this fall will likely be cut from it. 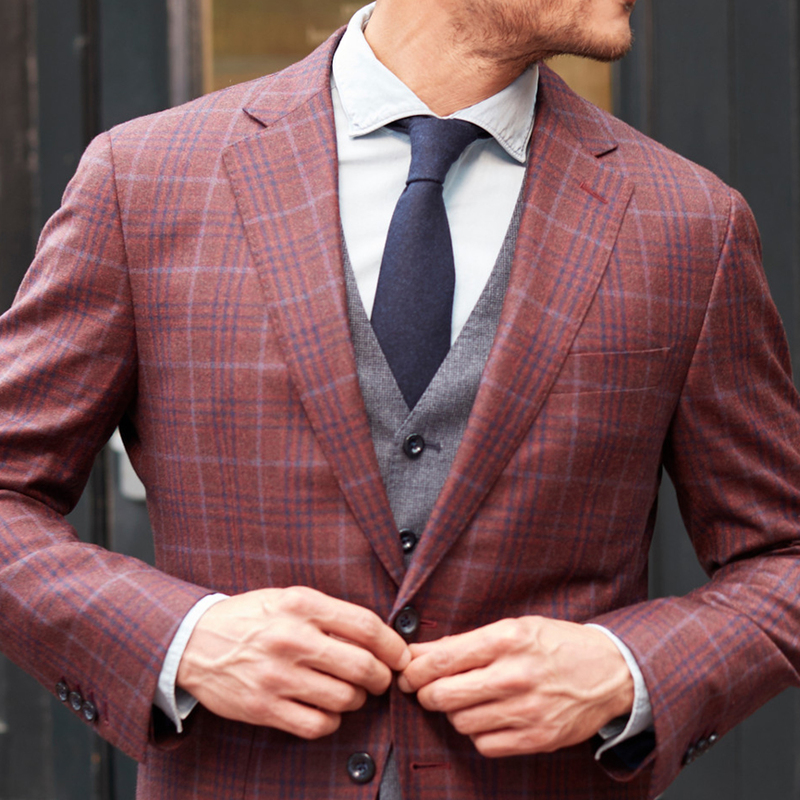 But it works just as well on a host of other garments, such as the three-piece suit shown here. 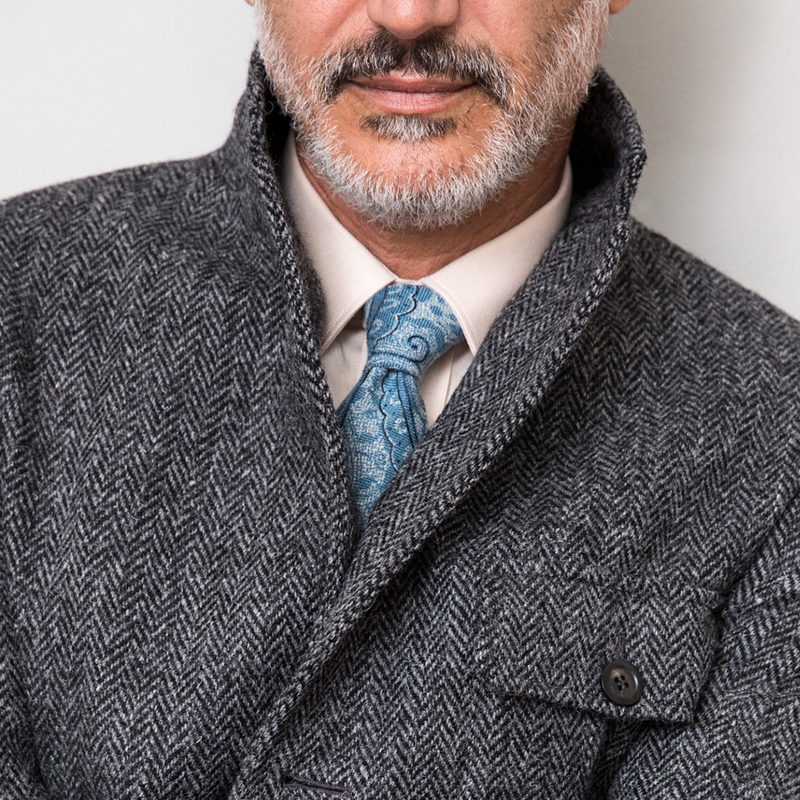 Tweed is a rough, woolen material that displays a diagonal rib motif and is frequently found in men's fall wardrobe offerings. Named after the River Tweed, which borders Scotland and Northern England, this term actually encompasses both herringbone and houndstooth textiles. It's often used in sport coats and outerwear, true to its original purpose as a layering piece for outdoor activities. Wool fibers come in many forms. The term alludes to any natural fiber textile that's made from animals like sheep, llamas, rabbits, and goats. Variations in the source impact the quality. For example, merino wool is a prized material for its delicate, yet durable consistency. 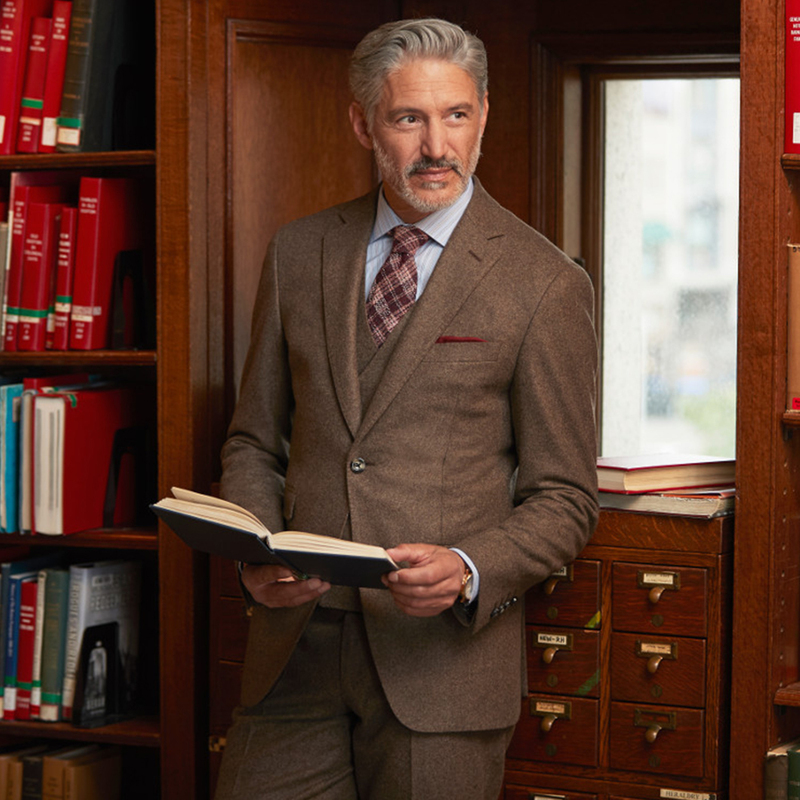 Overall, wool is considered a warm, sought-after natural fiber to layer on in the chilly months—and an essential to have in your closet.